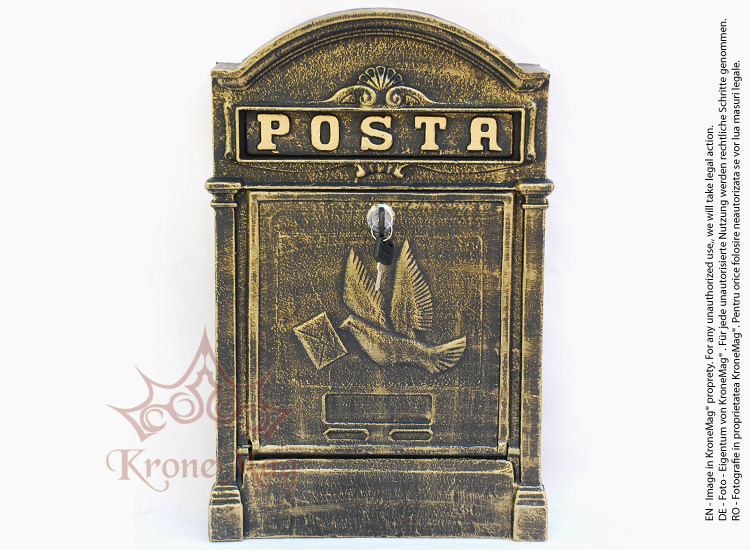 The letter box PIGEON is made of cast aluminum and has a vintage style. This post box comes with pre - drilled fixing hole that can be mounted easily on walls, gates and has the letter slot and retrieval on the same side. The post box is painted with special paint for the outdoor. The paint provide a superior protection of the aluminum components. On your request, the letter box can be antiqued with gold, silver, copper and green. The letter box can be fixed onto the wall and gates by fasteners (included). Aluminum Wall Mounting Letter Box HOR - LIONThe letter box HOR - LION is made of cast aluminum and h..
Aluminum Wall Mounting Letter Box HOR - LETTERThe letter box HOR - LETTER is made of cast aluminum a..
Aluminum Letter Box on Stand ZEITThe letter box on stand ZEIT is made of cast aluminum and has a vi..
Aluminum Wall Mounting Letter Box BGH - GORThe letter box BGH - GOR is made of cast aluminum and has..